Jimmy Driftwood (1907-1998) has been a musical hero of mine ever since the early '90's, at which point I first heard his song "Fidi Diddle Um-a Dazey" on a tape recording of a folk music radio show from 1960. That sent me back to my family's own tapes from WFMT's "The Midnight Special" folk program from the same era, and the few Driftwood songs that were heard on those tapes, including the wonderful "Rattlesnake Song". I've also always known his amazing song "He Had a Long Chain On", via the recording by Odetta. And of course, nearly everyone my age grew up knowing "The Battle of New Orleans" via the number one hit version sung by Johnny Horton in 1959. I find Driftwood endlessly entertaining, endearing and fascinating. His songs are catchy and direct, with good humor, and often a really upbeat view of life. Plus there's his infectious vocal style and the unique sound of his homemade guitar. An excellent, lengthy biography of Driftwood can be found here. Just as I was discovering Jimmy Driftwood, the folks at Bear Family were releasing a box set of his entire output for RCA Victor (five albums, 1958-1962), which I happily ordered (that "Americana" box set on Bear Family remains available, and highly recommended). I later was able to find his more obscure Monument albums from the mid '60's, and a few self-released albums from the '70's. But until this month, I didn't know that he'd had a one-off release six years before he signed with RCA Victor, in 1952, one what appears to have a small regional label, Cardinal. I was happy to be able to put my hands on a copy shortly after finding out about this record's existence. Each side features Driftwood in a musical setting not found on his later records. 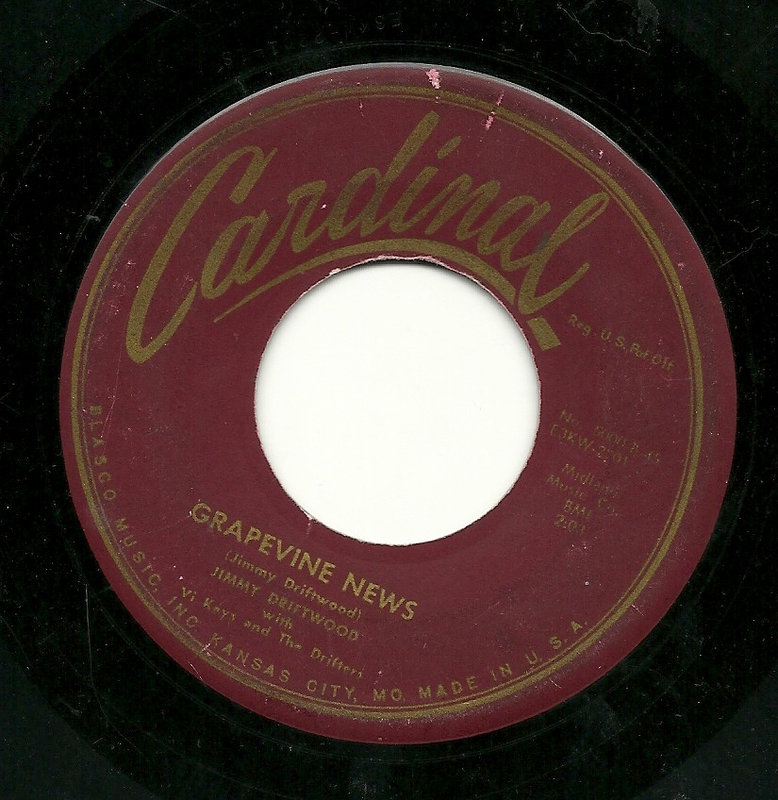 The A-side, "Grapevine News", features a few of the things I love the most about Driftwood's stuff - his humorous lyrics and singular style of singing, attached to a Western Swing track, which works quite nicely. 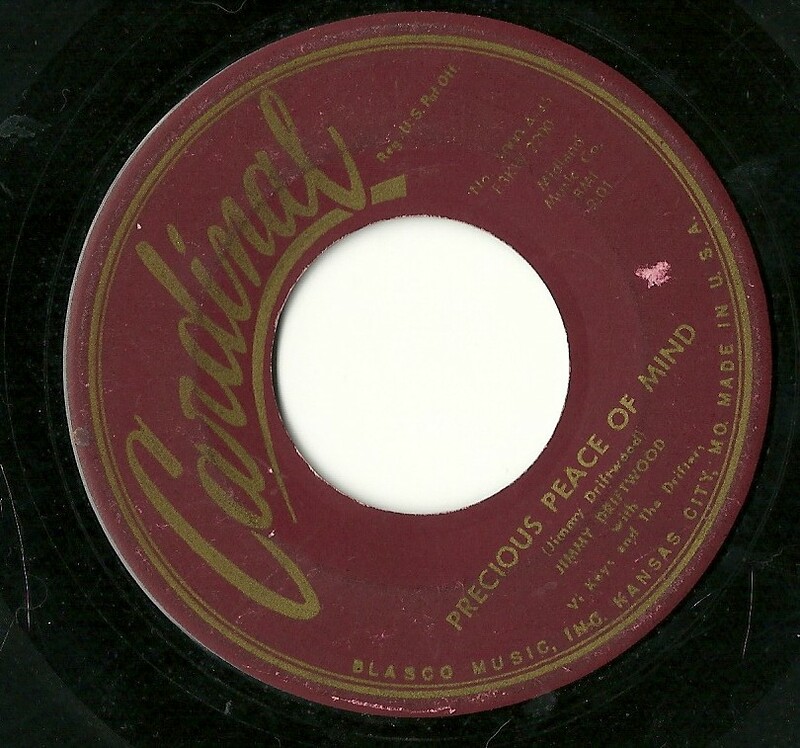 The flip side "Precious Peace of Mind" has more of a Gospel feeling, and the lyrics have a lot in common with that genre, although there is no actual mention of Christ, God or Christianity anywhere in the lyrics. I think that I now own everything that Jimmy Driftwood ever released. I wish there was more. He was the real deal. 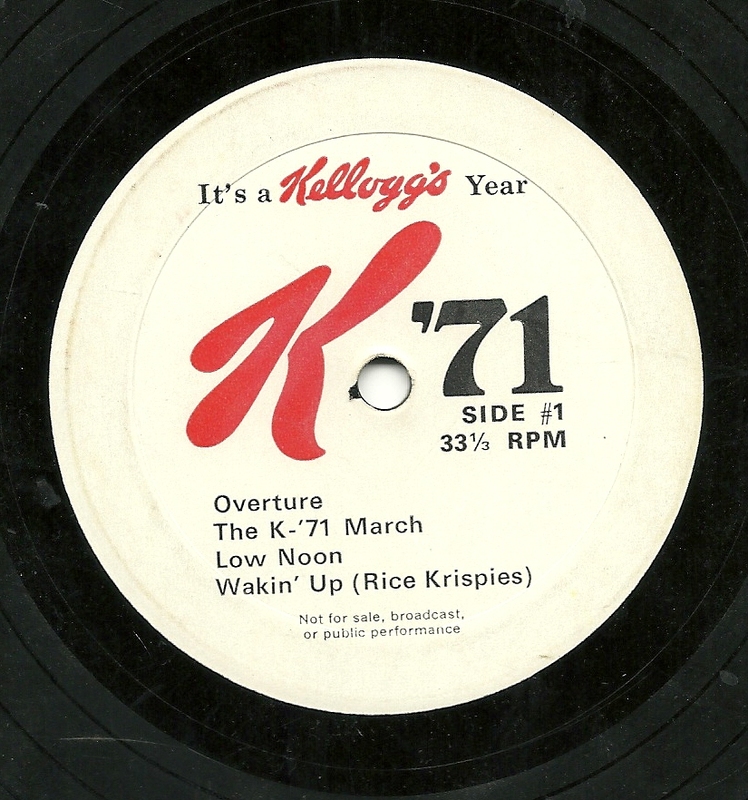 My favorite Driftwood song, "Fidi Diddle Um-A Dazey"
The ridiculous and amazing "Rattlesnake Song"
Jimmy's original version of "The Battle of New Orleans"
Here's an interesting little seven inch, 33 1/3 RPM record from Kellogg's, all about their most popular products in 1971, which, they proclaim, would be "A Kellogg's Year". There are eight songs in total, ranging from just under a minute to just over two minutes. I suspect this was for internal use, perhaps at meetings of some sort, or to be given to the employees. I say that largely because of track three. Track three, "Low Noon", is easily the high point of the record. 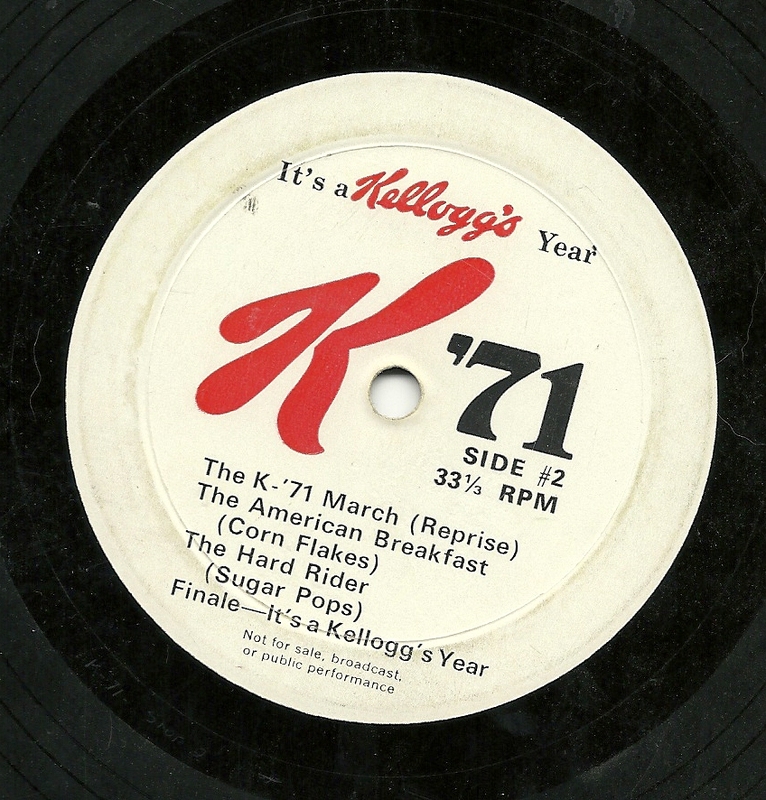 It's a parody of Johnny Cash's singing style and musical style, in which the lyrics make repeated fun of those who claim that that Frosted Flakes have little or no nutritional value. The dismissive way these complaints are handled (especially since those complaints were certainly spot-on) makes it unlikely that this was ever meant to be aired in public. I'll let you enjoy them for yourself rather than going into any more detail. Of the other tracks, three are instrumentals, including one which claims to be about Sugar Pops, but it's hard to tell without any lyrics (the rough edit in the middle of that one is on the record, it's not an MP3 glitch). I also get a kick out of the way that "The American Breakfast" is described - the first word in the description is "Sugar". Apologies for the poor sound quality, especially on side two - this record is fairly beat up.